I have just finished work on a script for a children's animated show that looks to be seen on the BBC and other networks around the world. I'm currently available for hire writing animation scripts for any current or upcoming series. You can contact me via email. 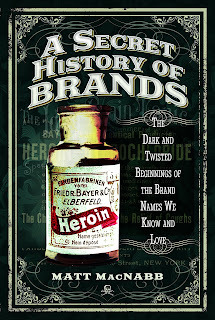 "I’d never read anything by this author before, but his style is engaging and he pitches this volume at the right level for the subject: he includes the adequate amount of historical information about each one of the brands and characters (inventors, creators, public figures…) to make sure that the readers understand the context of each brand and its products, and then focuses on the more intriguing and less publicized aspects of their evolution. Some of them might be more familiar than others (I suspect a lot of readers will know about Coca-Cola and its early cocaine content), but even then, MacNabb manages to unearth elements of the story that are bizarre and less well-known (so Coca-Cola still contains extracts of coca leaves [no actual cocaine though, don’t worry!] supplied by the only lab in the US with a permit to import coca leaves)." The Daily Mail was kind enough to post a very in-depth feature about my latest history title, A Secret History of Brands, on their website last November. Check it out if you haven't already. 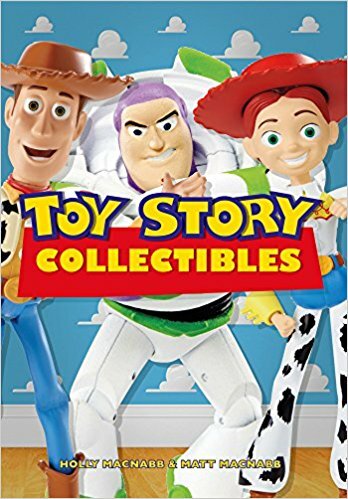 This May Amberley will be publishing Toy Story Collectibles, a book that I authored along with my wife Holly. She has been collecting these amazing toys for over twenty years and has some great pieces to show off. This will be my final collectibles-themed book for awhile, as I am focusing on history and biographical works. My sixth book will be announced soon, so stay tuned! I had a great time as a guest on the popular radio show Coast to Coast AM this past friday. You can check out the show and my profile on their site. The landscape of American cinema and pop culture both changed drastically on one fateful day, June 8, 1984. The day that Ghostbusters exploded into theaters had a profound impact. Its been over 30 years and fans are still celebrating this now classic supernatural comedy film that continues to resonate so very strongly. It feels like a given now, but back in 1984 there were no movies about ghost hunters and certainly none that took the topic even remotely seriously. Filmation had produced a live action series in the 1970s with the same title, featuring two goofy Ghosthunters and their gorilla friend. Fans would later see that concept turned into a competing cartoon in 1986. The beauty of Ghostbusters was the mixture of horror and comedy that almost felt legitmate in some way. 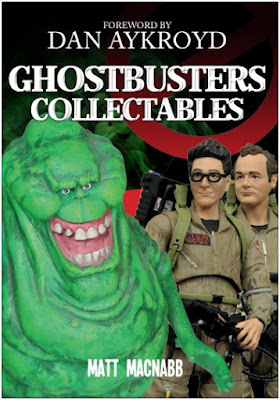 The concept for Ghostbusters was developed originally by the comedic and creative genius of Dan Aykroyd and Harold Ramis, the actors that portrayed Ray Stantz and Egon Spengler in the film. The film was masterfully produced and directed by Ivan Reitman, who had worked previously with Bill Murray and Harold Ramis on the cult comedy hit Stripes. The film was intended to consist of a mixture of Saturday Night Live alumni, such as John Belushi and Eddie Murphy, and other great comedic actors, like John Candy. Belushi passed away before he could fulfill the role of Peter Venkman and John Candy wouldn't commit to portraying Louis Tully. Eddie Murphy went the route of Beverly Hills Cop, a film that would spawn a franchise for him and make him a huge star of cinema. It all worked out for the best, because in the end fans got what is now a beloved cast of characters portrayed by just the right mixture of actors. 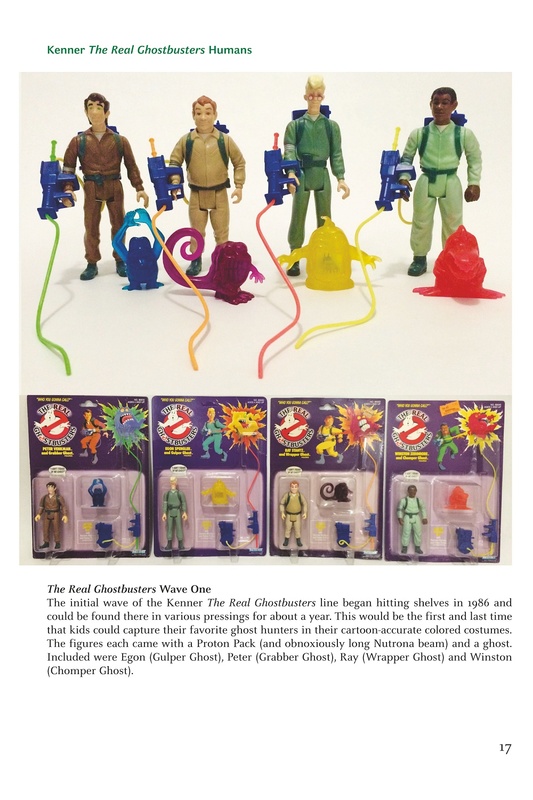 The Ghostbusters merchandise train really took off in 1986 with the inception of the Kenner toy line based on The Real Ghostbusters, an animated series based on the 1984 feature film. 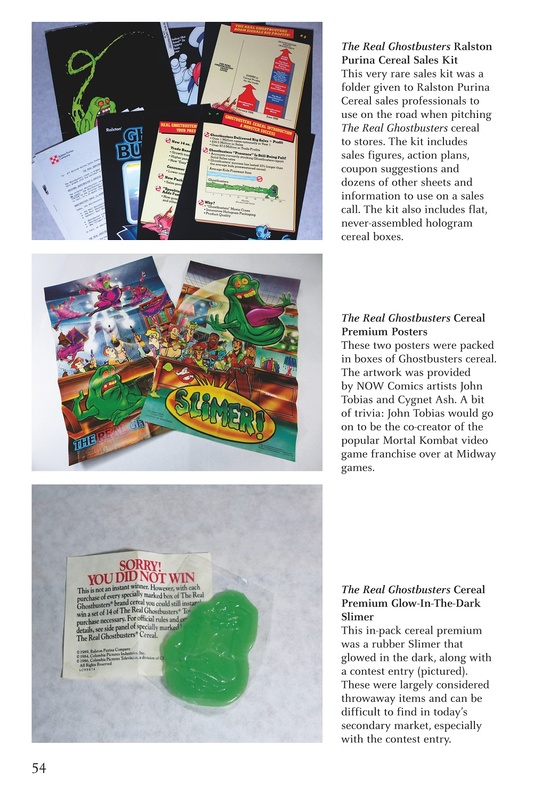 There was a fair amount of merchandise produced for the first film, but a good majority of it was practical items like t-shirts, stickers, buttons, posters and books. This was during an era when iron-on t-shirt shops were still a huge trend, so a lot of licensed shirts from the era can be found on a variety of shirt colors. Ghostbusters movie shirts of the era can be seen on everything from back to purple to red t-shirts. The best selling collectible from the original film would no doubt be the single of the theme song by Ray Parker Jr. It was released on both record and cassette tape. In the modern era toy companies have done their best to make-up the gap that we always had with the first film, by producing a variety of classic film themed items. We will cover those in later chapters of the book. 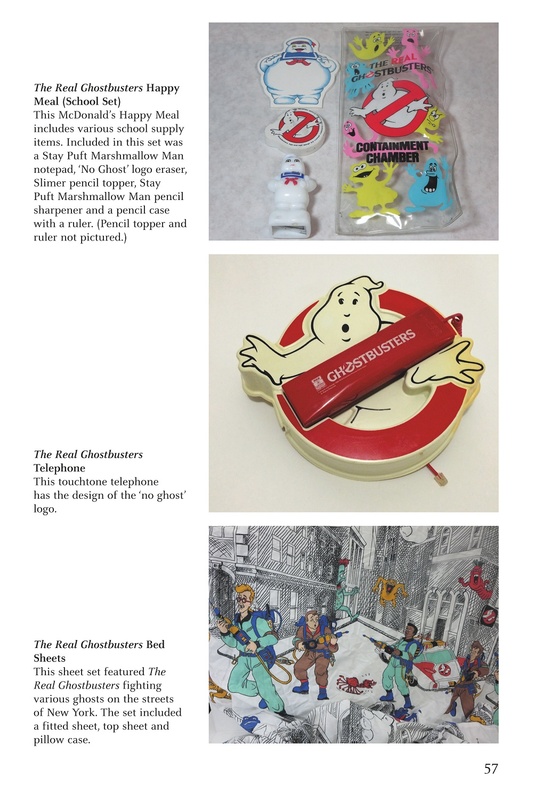 In the meantime, please enjoy this sampling of collectibles from the very first Ghostbusters film.